In their haste to show they are sensitive new age religionists, the Hartman name has been known to leak across acceptable boundaries. I won’t go there. Consider two articles, one is the easy, feel good, new age sensistive approach from a Hartman, and the other is a fact based analysis by someone who is scientific in their approach. I know who is correct. I am sure there will be a number of Melbourne Rabbis too quick to jump on the Hartman #metoo wagon, in the name of ‘tikkun olam’. Pity they don’t consider the facts. If you haven’t read ‘she’s free to go’ in Israel until she gets better. I’m waiting for the Adass Israel community to call for a day of prayer, so that Leifer, accused of 72 accounts of pedophilia gets better sooner so that her continued existence in this sick mental state subsides and the daily profanation of God’s name doesn’t continue to recur. Does anybody want to take betting odds that this prayer day won’t occur and that it didn’t occur on the last prayer-filled event last week at the Hungarian Ultra Orthodox Haredi establishment in Melbourne? I will bet her name wasn’t even mentioned in a prayer for a Refuah Shelema. Let justice take its path. If she God forbids, lures a victim, now that she is free to roam, I’d be applying to have her institutionalised in an asylum with appropriate mental care. I don’t feel programmed to reject everything Yair proposes, nor do I feel that I should accept his proposals because “democracy is a religion”. With that in mind, the article below from Yediot, if reported accurately, demonstrates poor arguments. Using Grandad as an example, is nice emotive politics but it doesn’t make it a better argument. Yair, what you need to tell us is what Sabbath does mean in the context of a Jewish State albeit in a Secular neighbourhood. Does it mean that children can’t pick up their grandfather? Does it mean that in a Secular area Sabbath is no different to any other day when one walks out on the Street? Does it mean that in a country where there is no Sunday, [I am a very strong supporter of a Sunday in Israel, as this not only will enhance Shabbos, but will give families a chance to bond better] Shabbat needs to morph to a Xtian Sunday in some neighbourhoods? What are the Ghetto creating implications of your proposal? Do you not want Religious and not-yet-Religious living in the same area? I think that is an absolute must for Israel’s character. I don’t agree with forcing people to do Mitzvos, but I do think that the State needs some red lines which define its Jewish character. These lines cannot be of the morning kosher, afternoon trayf variety. That is just opportunism engendered by politics or money. The argument about the grandfather “with funds” versus the grandfather “without funds”, and their State right to do something equal is a very slippery slope which, if I was in the Knesset, would use against you in many debates. Don’t use the “equality” card, when it doesn’t exist! You don’t have a bill of rights, but we do have a document which defines the Jewish people. “We need public transportation on Shabbat in secular neighborhoods and in secular cities,” Finance Minister Yair Lapid said Thursday evening during a live chat on Facebook. However, he said, more time was needed to sense the changes regarding this issue and economic issues. “I think there should be public transportation on Shabbat. I said this during my (election) campaign and I’m saying it again – not in religious areas, but in secular neighborhoods and secular cities – because this issue is not related to religion and state; it is a simple social matter,” the Yesh Atid chairman wrote on Facebook. According to Lapid, the Israeli economy is transitioning from a culture of stipends to a culture of work. “If you work and do not earn (money) then you should be offered help; if you do not work because you don’t feel like it, we should make certain that Israeli society tells you: Not in our house. It is not decent and it is not fair. The working man is at the center of the financial plan,” he said. 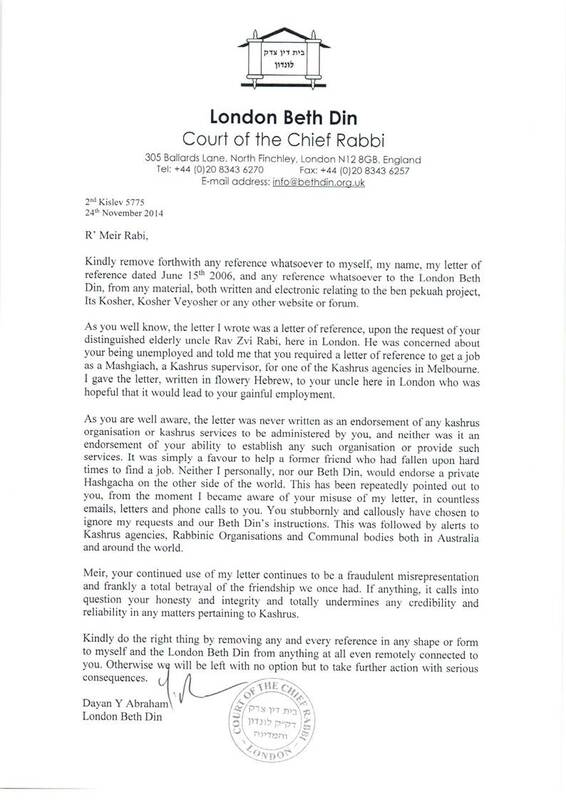 Perhaps the thing that upsets me the most about views similar to Yair Lapid, and for the record, he doesn’t upset me with the things that he says most of the time, nor do I harbour any hate whatsoever towards him, is that we, the religious community, have effectively created many Lapids. We (both in Israel and abroad) use language that divides and not unites. We rarely invite our not-yet-religious neighbours. We don’t say hello in the street and often don’t act civilly. We don’t make an extra special effort to be inclusive. If we were all lit with the powerful atomic fuse of Ahavas Yisrael that burned so fiercely inside Rav Kook ז’ל I sense there would be less division in Israel. Yes, outside of Israel, Chabad do a great job. They have their agenda, it’s true, but that agenda doesn’t worry me. It’s results that matter. It’s ironic, though, that so many Talmidim and Talmidim of Talmidim of Rav Kook, many became hermetic Charedi Leumi types than those who embraced the Klal, quite literally. Alternatively, they would hold onto a clod of soil with their lives, but not do the same for a Jewish soul. I hope the new Chief Rabbis are able to re-ignite the fire of Rav Kook and spread the Ahavas Chinam, unadulterated love of a fellow Jew, throughout Israel (and beyond). They get a nice-looking scarf-less, american-accented mouthpiece to spout plain untruths. Many in the “cultured” western world, especially left-leaning tree-huggers will conclude that even though the interviewer caught her out, there is another narrative out there, and the only narrative that should be disregarded is the American/Israeli line. The mighty and powerful aggressors are wantonly attacking the helpless ones, whose rocket-propelled “sling shots” don’t cause damage. Which doesn’t mean we “deserve” anything. What it means is that we need to increase our good acts and the quality of our personal and Godly interaction, especially when under fire. By all means, write letters, twitter to your heart’s content, spread across facebook, share Friday night bread with co-religionists, but remember, that this alone does not, has not, and never will be sufficient to cause an attitudinal sea-change. It’s a Midrash, but for some reason it rings as true now as it did in 1939. That’s not all of them, but far too many. We’ve seen it before, and sadly, we will continue to see it until ובא לציון גואל. Disclaimer: My private views, as always, should not be construed as associated with anyone but me, and me alone. 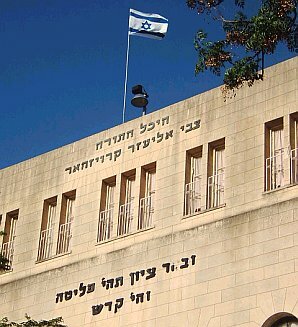 We have all been reading with interest about the expiration of the Tal Law, which had afforded “Kollel Yungerleit” the opportunity to avoid military service in the State of Israel on account of their extended and continued full time study of Torah. We have also heard many Gedolim say that this is a situation of יהרג ועל יעבור … that people should give up their lives rather than join the army. Parshas Shoftim describes the process whereby the Cohen, משוח מלחמה explains the procedures before warfare. First he encourages the troops and tells them that they only should fear Hashem and not the enemy, then he describes the categories of soldier (male soldiers, of course) who are exempt from battle (anyone is engaged but yet to marry a woman, anyone who has built a house but did not move in, anyone who has planted a vineyard but has yet to reap a harvest, and anyone who feels afraid). The Shotrim (policemen/miitary staff) then repeat this to groups of soldiers, according to Rashi. There are two broad categories of war: the Milchemes Mitzvah (loosely described as a war where one defends the very existence/populace) and a Milchemes Reshus (a type of warfare which is waged for other reasons). A Milchemes Mitzvah is obviously a more serious, life threatening situation, and so we fine that the Mishne in Sotah (8:7) states that the aforementioned exemptions do not apply to a Milchemes Mitzvah. In other words, when it comes to defending the very existence of the people/State, it’s “all hands on the deck”. Strangely, the Rambam at the beginning of the seventh chapter of Hilchos Melachim, states that the Cohen also announces these exemptions for a Milchemes Mitzvah. How can the Rambam contradict a clear Mishna? One explanation I read from Rav Schachter in the name of the Rav is that there is a dual obligation when anyone goes to war. One obligation is a national obligation. The person is part of the כלל and in the sense that the כלל is threatened in a Milchemes Mitzvah, the Torah does not provide an opportunity for exemption. There is also an individual obligation, the obligation of the פרט, the potential soldier who signs up for military service or considers doing so. In a Milchemes Reshus, the Cohen explains that someone who is in one of the aforementioned categories is strongly urged to stay home. They aren’t needed, and furthermore it could be argued that they may even damage morale by virtue of their preponderant thoughts. According to the Rav, the Rambam is saying that even in a Milchemes Mitzvah, the Cohen explains the laws of the פרט being absolved from joining the armed forces before they defend the nation. It is necessary to explain the difference, and stress that this is only an exemption in as much as they are private individuals, however, since they are about to embark on a life and death battle for the defence of the people and the State, the aspect of the כלל affords them no exemption. Of course, there are other explanations. Reflecting on this on Parshas Shoftim, I have great difficulty understanding how those who ostensibly don’t feel politically part of the State, give themselves the right to also not feel existentially part of the כלל. Certainly, as I sit in Melbourne, Australia, I’m not exactly entitled to criticise the life and death decisions taken by those who live in Eretz HaKodesh. I am, however, entitled, I believe to ask for an explanation in light of the above. At the outset, I would like to extend my condolences to the People of Turkey following yesterday’s tragic earthquake. Let me begin by reminding this Council that the name of today’s debate is the “Situation in the Middle East, including the Palestinian question” – and not vice versa. This morning I’d like to take the unusual step of actually focusing on the situation in the Middle East. Let me assure you that I will give proper attention to the Israeli- Palestinian Conflict. However, first, let’s look at the facts: the Middle East is in turmoil. Thousands of innocents have been gunned down in the streets. People are calling for their freedom and demanding their rights. Yet, month after month, this Council deals with and focuses disproportionately on one and only one conflict in our region. I don’t claim that this Council does not deal with the situations of specific countries in the Middle East. It does. However, I think it is time to start connecting the dots so that we can face the bigger picture. For generations, the Arab World has failed miserably to address the needs of its own people. The United Nations Development Program has sponsored five “Arab Human Development Reports” since 2002. Year after year, the Arab researchers who write these reports offer a glimpse into the real world of the Middle East. Young people struggle without access to jobs and education. Women are denied basic rights. Free expression is repressed. Minorities are persecuted. Elections are a sham. Today the people of the Middle East demand real answers for their plight. We have seen their brave stands in public squares. We have heard their cries. And we have witnessed the deadly response to these calls for freedom. In Hama, Daraa and Latakia, the Syrian regime slaughters its citizens in a desperate bid to hold onto power. Some members of this council remain blind to Assad’s brutality. In Libya, the reign of Moammar Qaddafi is over after more than 40 years of repression and many months of bloodshed. The Libyan despot’s violent end illustrated what Churchill once described as a signal disadvantage of the dictator: what he does to others may often be done back to him. This truth haunts the minds of many leaders in our region — and Qaddafi’s fate rings an alarm for them. Iran remains the world’s central banker, chief trainer and primary sponsor of terror. Recent events have shown that its state-directed terrorist activities extend from the Persian Gulf to the Washington Beltway, with targets that range from innocent protestors to foreign soldiers to official diplomatic representatives. This is the way the regime behaves today. One can only imagine what it would do with a nuclear capability – with the dangerous combination of extremist ideology, advanced missile technology and nuclear weapons. IAEA reports make clear that Iran continues to march toward the goal of a nuclear bomb in defiance of the international community. We cannot allow it to place the entire world under the specter of nuclear terrorism. The world must stop Iran before it is too late. The Middle East is trembling. Its future is uncertain. And two roads stand before us. There is the future offered by Iranian and Syrian leaders – a future of more extremism, greater violence and continued hate. Their vision will not liberate human beings, it will enslave them. It does not build, it destroys. And there is another road – a path of progress, reform and moderation. The choice before us is clear – and it has never been more critical to make the right choice for the future of the Middle East and its inhabitants. It is time for this Council to stop ignoring the destructive forces that seek to keep the Middle East in the past, so that we can seize the promise of a brighter future. Make no mistake: it is important for Israel and the Palestinians to resolve our longstanding conflict. It is important on its own merits, so that Israelis and Palestinians alike can lead peaceful, secure and prosperous lives. But it will not produce a sudden outbreak of stability, harmony and democratization from the Persian Gulf to the Mediterranean Sea. And seriously addressing the underlying problems of the Middle East will be essential for advancing Israeli – Palestinian Peace. The road to peace can only be built on a foundation of mutual recognition and dialogue. He denied 4,000 years of Jewish history. It was not a small omission. It was not an oversight. The Palestinian leadership attempts to erase the connection between the Jewish people and the Land of Israel. Others in the Arab World have offered a different message. Let me repeat this. King Hussein said three monotheistic religions, not one or two. Those who seek peace do not negate the narrative of the other side. On the contrary, they recognize its existence and choose to sit down and negotiate peace in good faith. This is what President Sadat did. This is what King Hussein did. The ancient Jewish bond to the land of Israel is unbreakable. This is our homeland. The UN recognized Israel as a Jewish state 64 years ago. It is time for the Palestinians and the more than 20 Muslim countries around the globe to do the same. Let there be no doubt: Israel wants peace with a future Palestinian state. Let me repeat that: Israel wants peace with a future Palestinian state. In word and in deed, my Government has demonstrated time and again that we seek two states for two peoples, living side-by-side in peace. You don’t ever hear the Palestinians say “two-states for two peoples”. If you any of you do, please phone me on a “9-11 number” immediately. Prime Minister Netanyahu stood in this hall last month and issued a clear call to President Abbas. Let me reiterate that call today to the Palestinians. Sit down with Israel. Leave your preconditions behind. Start negotiations now. The international community has called on the Palestinians to go back to negotiations. Israel has accepted the principles outlined by the Quartet to restart negotiations immediately, without preconditions. We are waiting for the Palestinians to do the same. The Palestinians suggest that settlements are the core cause of the Israeli-Palestinian Conflict. It’s an interesting assertion considering that our conflict was raging for nearly a half century before a single settlement sprung up in the West Bank. From 1948 until 1967, the West Bank was part of Jordan, and Gaza was part of Egypt. The Arab World did not lift a finger to create a Palestinian state. And it sought Israel’s annihilation when not a single settlement stood anywhere in the West Bank or Gaza. The issue of settlements will be worked out over the course of negotiations, but the primary obstacle to peace is not settlements. This is a just a pretext for the Palestinians to avoid negotiations. The primary obstacle to peace is the Arab World’s refusal to acknowledge the Jewish People’s ancient connection to the Land of Israel — and the Palestinian’s insistence on the so-called right of return. Today the Palestinian leadership is calling for an independent Palestinian state, but insists that its people return to the Jewish state. It’s a proposition that no one who believes in the right of Israel to exist could accept because the only equation in political science with mathematical certainty is that the so-called right of return equals the destruction of the State of Israel. The idea that Israel will be flooded with millions of Palestinians is a non-starter. The international community knows it. The Palestinian leadership knows it. But the Palestinian people aren’t hearing it. This gap between perception and reality is the major obstacle to peace. The so-called right of return is the major hurdle to achieving peace. Since the Palestinian leadership refuses to tell the Palestinian people the truth, the international community has a responsibility to tell the Palestinian people about the basic compromises that they will have to make. The many issues that remain outstanding can only – and will only – be resolved in direct negotiations between the parties. Israel’s peace with Egypt was negotiated, not imposed. 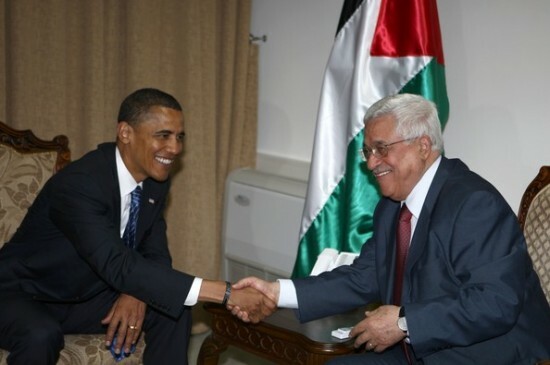 Our peace with Jordan was negotiated, not imposed. Israeli-Palestinian peace must be negotiated. It cannot be imposed. The Palestinian’s unilateral action at the United Nations is no path to real statehood. It is a march of folly. Today the Palestinians are far from meeting the basic criteria for statehood, including the test of effective control. The President of the Palestinian Authority has zero authority in the Gaza Strip. Before flying 9,000 kilometers to New York to seek UN membership, President Abbas should have driven 50 kilometers to Gaza, where he has been unable to visit since 2007. In the same breath that they claim their state will be “peace-loving”, Palestinian leaders speak of their unity with Hamas, an internationally recognized terrorist organization. Hamas and “peace-loving”? There is no greater contradiction in terms. Under Hamas rule, Gaza remains a launching ground for constant rocket attacks targeting Israeli civilians, which are fueled by the continuous flow of weapons from Iran and elsewhere. Israel has the right to defend itself. As the Palmer report made clear, the naval blockade is a legitimate security measure in order to prevent weapons from entering Gaza by sea. When it is not attacking Israelis, Hamas is oppressing its own people. In Gaza, civil society is nonexistent, political opponents are tortured, women are subjugated, and children are used as suicide bombers and human shields. Textbooks and television glorify martyrdom and demonize Jews. Incitement against Israelis also continues in the West Bank and in the official institutions of the Palestinian Authority, which names its public squares after suicide bombers. The unresolved questions about a future Palestinian state cannot be simply swept under the carpet. They go to the core of resolving our conflict. They have to be addressed. Let me be clear: for Israel, the question is not whether we can accept a Palestinian state. We can. The question is what will be the character of the state that emerges alongside us and whether it will live in peace. The Palestinian’s unilateral action at the UN breaches the Oslo Accords, the Interim Agreement, the Paris Protocol and other bilateral agreements that form the basis for 40 spheres of Israeli-Palestinian cooperation – all of which could be jeopardized by a unilateral action at the UN. This unilateral initiative will raise expectations that cannot be met. It is a recipe for instability and potentially, violence. Members of the international community should be clear about their responsibilities: You vote for it, you own it. All those who vote for unilateral recognition will be responsible for its consequences. At this critical juncture, the Palestinians’ true friends will encourage them to put aside the false idol of unilateralism and get back to the hard work of direct negotiations. Speaking of friends, the many so-called Arab champions of the Palestinian cause have a responsibility to play a constructive role. Constructive support from the Arab World is vital for building the civic and economic structures necessary for real Palestinian statehood and peace. Instead of simply adding to the chorus of state-bashing, the Palestinians true supporters will help advance state-building. Arab donors provided just 20 percent of the international funds for the Palestinian Authority’s regular budget last year. Let me put this in perspective: last year, Arab donations to the regular PA budget accounted for a little more than half of what Saudi Prince Alwaleed bin-Talal spent on his newest personal luxury jet. People in Washington, London, and Paris are struggling with an economic downturn, but still providing the bulk of support for Palestinian institutions, while Arab states saturated in petrol dollars don’t even give the Palestinians crumbs off the table. In the Jewish tradition, we are taught: “whosoever saves a single life, saves an entire universe.” This sacred principle forms the backbone of Israel’s democracy. It drives our Government’s policy. We witnessed a clear reflection of these values last week – as all of Israel welcomed home our kidnapped soldier, Gilad Shalit, after more than five years in Hamas captivity. It was a moment of great joy, but it came with tremendous costs. I would like to take this opportunity to thank the Secretary-General personally and some of the countries represented here today that played an important role in the release of Gilad Shalit. For us, the supreme value of a single human life justified releasing more than a thousand terrorists and criminals covered in the blood of innocents. Time and again, Israel has shown that it is ready and able to make bold and courageous decisions to preserve life, to uphold human dignity and to pursue peace.